Juventus made easy work of Bologna this Wednesday night, beating the visitors 2-0 at the Allianz Stadium in Turin. Dybala and Matuidi scored the Bianconeri goals in the first half and all eyes are now in this weekend's clash against Napoli. 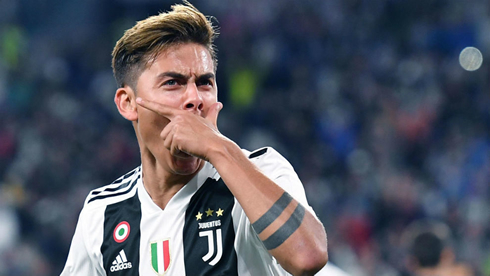 Juventus didn't have much trouble to beat Bologna this Wedbesday, as they comfortably won their game 2-0 tonight and kept the 3 points at home. Massimiliano Allegri's men are now sitting 3 points above Napoli on the top of the league and the two teams will face each other in Turin next Saturday for what promises to be an amazing game. For now, the "Vecchia Signora" reached their 6th straight win in the Serie A and they beat their opponents thanks to a goal each from Paulo Dybala and Matuidi, who both scored their goals still inside the first 20 minutes. 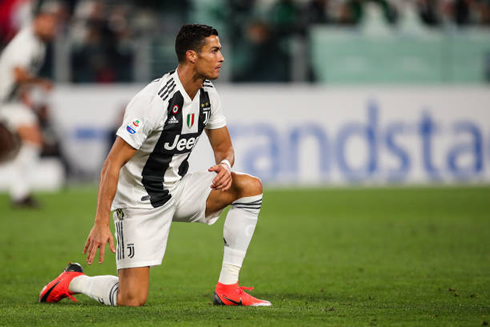 Cristiano Ronaldo couldn't finish any of his chances and will definitely want to get his name back in the scoresheet next Saturday when Juventus hosts Napoli in Turin. That's seven straight now for Juventus in all competitions, their best start ever to a season and they are flying high in Italy. If they win against Napoli this Saturday like all football betting sites seem to suggest they will, they'll set a new personal record in the Serie A as well. Today, they took on Bologna at home and made light work of the visitors early, putting the game beyond reach. Two goals in the first 16 minutes were enough, as a mature and experienced Juventus smartly guided the game home early securing the three points. The goals came courtesy of Paulo Dybala and Blaise Matuidi. The Frenchman was a force today, apart from the goal he seemed to get first to every ball and just wouldn't stop running. Dybala had a great match today as well, combining well with Cristiano Ronaldo for the first goal and generally being dangerous throughout. Speaking of Cristiano Ronaldo, his playmaking has been on display so far in Italy, far more so than his target-man days during the past few years in Madrid. It's good to see him playing a bit more like he does with Portugal. Juventus often struggle to create chances, so he's taken on the mantle of being a creator as well as a goal scorer so far. But it's still clear that Ronaldo himself is frustrated when he doesn't score, he puts that pressure on himself to be the best and when he doesn't hit the back of the net he feels as if his job isn't done. Yet, with a defense like Juventus, he can rest assured that his team will be able to defend a lead in any circumstance. João Cancelo was yet another standout today. He should be starting for the national team soon and his growing chemistry with Ronaldo is something to look for as well. Napoli is up next and it will be the first serious test for Juve in the league. Can't wait for that game! 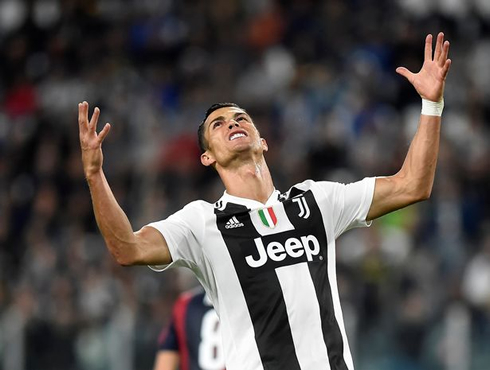 Cristiano Ronaldo next game for Juventus is on September 29 of 2018 against Napoli. You can watch Juventus vs Napoli, Real Madrid vs Atletico Madrid, Barcelona vs Athletic Bilbao, West Ham vs Manchester United, Empoli vs AC Milan, and Hertha Berlin vs Bayern Munich, all matches provided from our live football streaming game pages.